It is time now to speak of your new awareness. You are noticing your ability to sense things which were quite beyond your capabilities just a short time ago. Some of you are having small changes, some are having immense ones, but to each of you they feel new and amazing. Those who are not following these things are receiving the same upgrades, but they likely are not feeling anything yet but an uneasy difference, something they do not understand. This will change for them over time. All must start from the spot on which they are standing. Those who are able to sense these things now, way showers you have termed yourselves, will do well to mark your paths. There will be many who will need your loving guidance soon. Again we say, give only what you are asked for, and that lovingly, as these things may be completely new to these dear souls, and they may be prone to deny anything you tell them. When that happens, and it will at times, let them go with your blessing. They will come back, perhaps to you, perhaps to another. But all who desire to ascend will do so. This is a movement which by divine decree has been afoot for a long, long time by your counting, and not one that has occurred to your Creator in the last few years. Each of these souls has traveled far, endured much, and vowed to return, just as you have. Meanwhile enjoy your newfound abilities to your heart’s content and they will continue to expand. Spend time each day exploring your gifts and when your imagination sees other possibilities, try them. 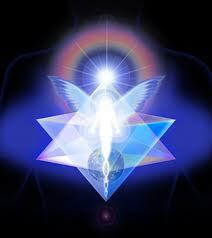 It is likely your higher selves and guides prompting you. This is, after all, the most important thing you are here for. Many other things are interesting, even necessary, but you are here, finally, to discover who and what you really are. These things will lead you to understand that what you have been lead to believe about yourselves is not, and never was true. You are seen as worthy and deserving creations of the Oneness by everyone but yourselves. Even those who have taught you otherwise did so because they knew it to be true. Spread your wings now and test them. Your day to fly the nest is upon you. Illusion’s last days are here. If you understand our words, you will not expect everyone on earth to awake tomorrow to complete enlightenment. But some have and more will. The time for consciousness to change is now here and it is happening. You might see it as a snow ball rolling downhill which has gathered enough momentum and size to be unstoppable. We watch you and help in every possible way. You are never alone. Good day, dear hearts.